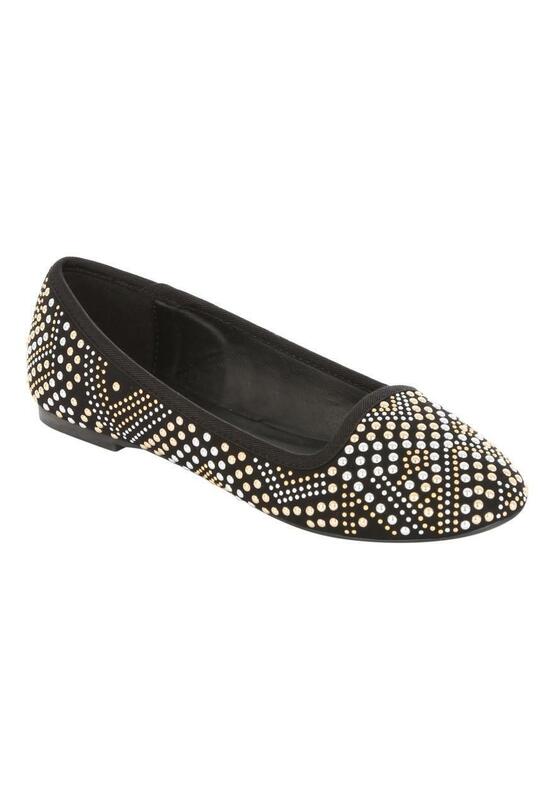 Make a detailed addition to your casual shoe collection with these women's black studded slipper shoes. Featuring an array of gold and sliver studs, these stylish shoes are perfect for everyday wear. Nice shoes, comfortable and worth the price.